A new spot to score beer, wine and spirits and more has made its debut in the neighborhood. 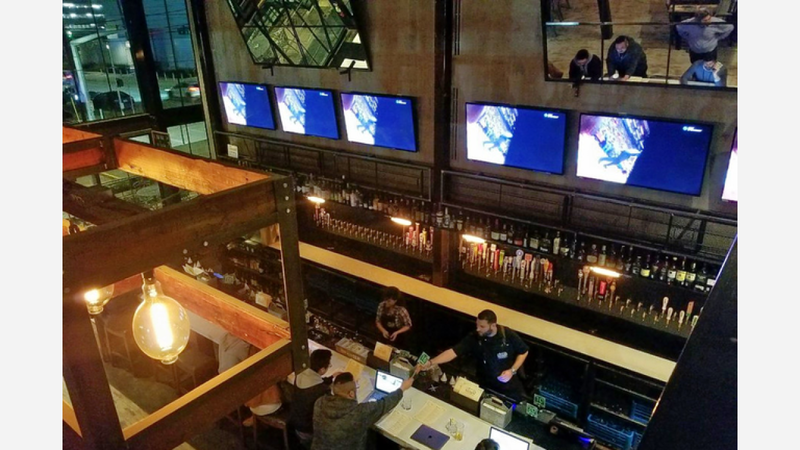 The new addition to Midtown, called Holman Draft Hall, is located at 820 Holman St.
Holman Draft Hall is the latest addition from Kirby Group (Hendricks Pub and Eatery, Taps House of Beer), with chef Brandon Silva (formerly of Uchi and Holley's) running the food program. The extensive libations menu features over one hundred brews on tap like "Holler Doller Pils" from the Czech Republic, Firestone Walker oatmeal stout from California, and Cascade Rose City from Oregon. There's also a variety of ciders, red and white wines, along with draft frozen cocktails that will be joining the lineup soon. Holman Draft Hall currently has a 4.5-star rating out of seven reviews, indicating that the fledgling business is finding its way. Jonathan P., who was the first Yelper to review the new spot on January 23rd, said: "This is a beautiful place. It is beautifully decorated and laid out. It's as if Restoration Hardware opened a bar and dropped the pretentiousness...This is going to the next best hangout in Midtown once they totally get up and running." Interested? Stop by to welcome the new business to the neighborhood. Holman Draft Hall is open weekdays from 3pm-2am, and weekends from 11am-2am.